1 Bring water to a boil in 3-quart saucepan. 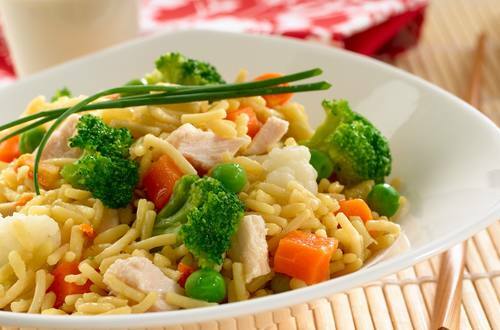 Stir in Knorr® Asian Sides™ - Chicken flavor Fried Rice and vegetables; return to a boil. 2 Reduce heat and simmer covered 7 minutes or until rice is tender. 3 Stir in chicken; heat through. Let stand about 2 minutes.